It was in 1996 that medical marijuana became legal in the state of California. Cannabis became legal under the Compassionate Use Act. This allowed people who suffered from debilitating ailments and diseases to get help from medical cannabis, if they had to get relief from their symptoms. Some of these medical conditions include chronic pain, HIV/AIDS, cancer and glaucoma. These medical patients are able to use cannabis without having fear of being criminally prosecuted by law enforcement in the state of California. The Compassionate Use Act is also extended to patient caregivers so that they are protected by law. However, caregivers and patients should be aware that medical marijuana is still illegal in the federal government jurisdiction and law. It is important to know the state laws and if unsure, seek guidance from a medical marijuana lawyer so you can get your concerns and questions taken care of. Each legalized state has their specific laws. So, it is your responsibility to find out the laws in your state. 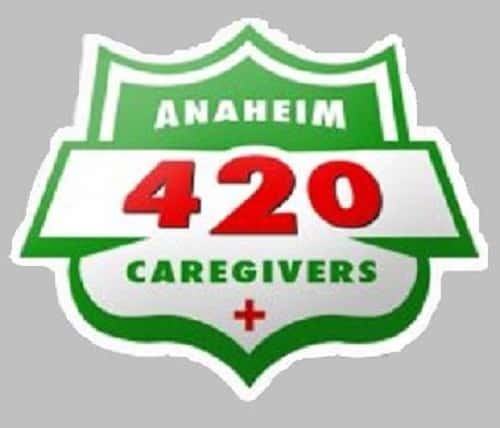 The law for medical marijuana in the state of California defines what a caregiver is. A caregiver is considered someone responsible for the health, housing and safety of the medical marijuana patient. Caregivers are defined as an adult who is 18 years or older. There are some exceptions to this. However, the person has to be significantly responsible for the management of the patient’s well being as long as the patient has received a diagnosis for a debilitating medical condition. A primary caregiver has to be providing care on an ongoing basis. The person has to be independent of providing assistant to the cannabis patient. A caregiver does not just supply medical marijuana and instruct the patient on how to use it. As a medical marijuana caregiver, you can provide assistance to multiple patients who are approved by a doctor to use medical cannabis. However, to provide assistance to multiple patients, these patients must all live in the same county. If you are a caregiver and you have registered your services with the MMP (Medical Marijuana Program), you are allowed by the law to grow, cultivate and transport medical cannabis on behalf of your patients. However, you are not allowed to personally use medical marijuana unless as an eligible patient. A caregiver has legal guidelines on how much medical marijuana to have on hand. The laws are the same for patient and caregiver. When growing, and cultivating medical marijuana for patients, the caregiver can have six mature marijuana plants and twelve immature plants as well as eight ounces of dried marijuana for each patient. Check the city and county where you live because they all have varying legal guidelines for the amount of marijuana to grow and cultivate. According to Proposition 215, if the patient has a medical condition requiring more weed, the physician has to allow it. The same is true for the caregiver. Patients do not have to register with the state of California to use medical marijuana or to grow it. All the patient needs is a recommendation from a qualified doctor. If the patient is receiving assistance from a caregiver who will handle the medical cannabis, then the caregiver and the patient has to register with the MMP. The registration process is voluntary, but helpful to law enforcement to weed out the black market and any scams. You have to complete an application and be approved. An application fee is necessary as well as proof of address, photo ID, and medical records. If you want to learn more about how to become a medical marijuana caregiver and patient in California, visit the Cannabis Training Center.